Are search engine rankings dead? Everyone is talking about "SEO" - search engine optimization - these days. 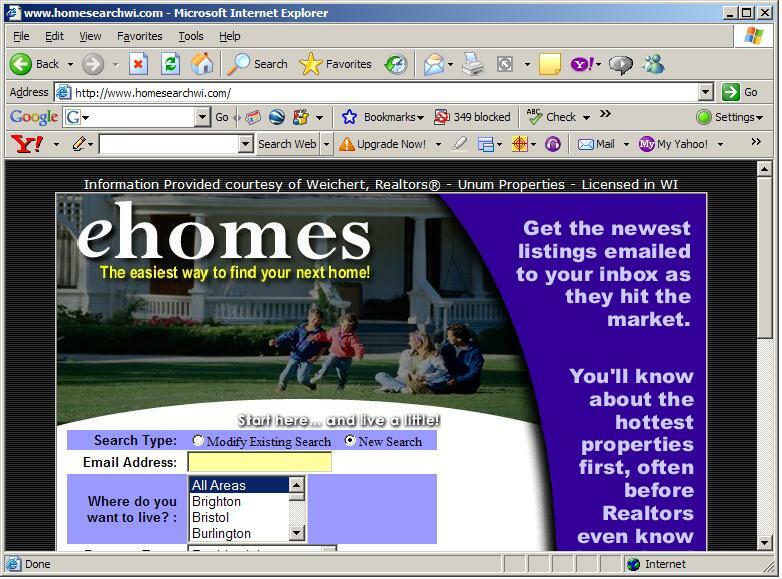 Our agent website systems are definitely built on a search engine friendly platform. But should we be using search engine rankings to gage performance? And can any company guarantee top ranking? The answer to both questions is yes... and no. You see, traditionally rankings are pretty straight forward. The search engine would evaluate each web page (via their algorithm) for both on-page and off-page factors. Then, you would be ranked where they deemed appropriate. Now, there are many factors involved that prohibit us from truly tracking rankings objectively. Factors such as personalized and behavioral-influenced search results for nearly everyone who performs a search. What one person sees as the top 10 results in Google, for example, may not match the same results as the person sitting next to them. Which begs the question: Just how are you, or to whom are you guaranteeing a No. 1 rank to? This doesn't mean we should NOT monitor search engine rankings. They should be used as one factor for measuring success. They should also be used to identify any issues that may arise. For example, if keyword "A" constantly ranks well in Google and then suddenly disappears from the results we know we need to investigate. Here are some "weaknesses" to search as told by a prominent SEO, Richard Bedford, written September 21, 2011. "You can only monitor a finite set of keywords: It is possible to retrieve ranking data from Google using their custom search API, however it is not possible to monitor every single keyword used to find your website. Google published a statistic claiming that 20 percent to 25 percent of search queries have never been seen before. Rankings are constantly in flux: Excluding algorithmic changes, index updates, client website updates and competitor website changes, different users can see different search engine results pages (SERPs). In other words, it is not an absolute truth to say that a keyword ever ranked at any position without specifying when the ranking was taken, who recorded the ranking, with what browser, tool or device used and from which location the search was made. Universal Search: Do you include rankings from image, video, local results or not? Do you report on these separately? Indented listings: Google may group some results together from the same website to help users. The second listing may not actually rank in that position but would otherwise be ranked somewhere lower down in the SERP. Does the ranking tool that you use report the actual position of the indented result or does it return the visual position? Which one should you report on? Sitelinks: Should you report on Sitelinks? Number of search results per page: With Universal Search, Sitelinks, local search, etc., how many possible search results are there on the page anyway!? An eighth place listing could be "great" one day and "bad" the next. Personalization: Even if you are not signed in, Google may personalize the search results based on the last 180 days of search activity. Combine this with +1 recommendations from your social network if you are signed in, and the search results between different users can start to look really different. Localization: Location influenced search results are going to become more important, especially with continued increase in smart phone uptake. When the rankings was taken: Algorithm updates (450+ a year), a constantly changing index (more than 1 trillion unique URLs) and trending searches mean that the rankings may change without any changes made to you or your competitors' websites." So what other factors do I use when determining performance? Are we increasing in rank according to my ranking tool. You see, if I notice an overall upward trend in ranks then I know the client can see this trend as well. You see, it takes more than just rankings to measure success. Here is an example that I came across the other day. I had a client say her traffic levels were down. Of course this concerns her. I dove into her analytics and immediately noticed they were in fact down by approximately 22%. Over this past 30-60 days I’m noticing most client’s traffic is dipping (seasonal perhaps? ), but 22% is enough of a drop that I wanted to look further. I decided to sort by the traffic source and could immediately see her direct traffic was down considerably. When I looked at her organic traffic it was only down slightly. In fact, even though her traffic was down overall, of the traffic that was going to her site we were able to capture a bigger portion of it organically. So I mention this to her and asked to think back if she had done anything different. Come to find out she wasn’t sending newsletters out as regularly. She was went on vacation and didn’t make time for much promoting in other areas (social, etc.) that would help deliver traffic. In any case, search engine rankings are still a part of SEO success, but we must also educate our clients that there are other—just as important—factors that we use to determine SEO success. In your RPS control panel, under "Other Resources," click the third party resources link and fill-out your twitter details. You will notice that we have preformatted your Twitter updates to go out with your blog title, and a tiny url to bring people back to your site. Once you save your twitter account info, you're all set. View the video below to see how easy it is to update twitter through your blog. On December 17 2008, fifteen agents from seven different states gathered in Columbus, OH for the first ever Real Pro Systems User Group. Intiated by fellow Real Pro Systems users, agents shared their strategies and tips for maximizing their web presence. Agents discussed a number of topics including stealth marketing, lead conversion, seo and blogging strategies, using video, feature requests, and more. It was a powerful day of sharing and learning, and everyone left with a lot of great ideas and new friends. Real Pro Systems is looking forward to doing this again! If you are interested in attending a similar session in 2009, simply let Joe know at 541-743-8501, and we'll add you to the invite list for future events! Are you using Market Snapshot? Check this out. I know you are always looking for ways to generate leads. I received an email from an agent that sent out a blast to his database and I thought is was clever. For those of you looking for ways to get prospects to take action on something like Market Snapshot from Top Producer, this is a good example of what to say. "With real estate in the news practically every day, one of the things that people want to know is exactly how that translates in their neighborhood. I subscribe to a couple of services that answer that question in very informative ways. The most popular by far is a service called "Market Snapshot" you can get an email delivered to your in-box at the frequency you desire telling you what homes in your immediate neighborhood are selling for. Click on the link to bring up a request form. You can cancel the service anytime you like so please take a look, I think you will like it! While I am writing...I have just put three properties under contract and expect to close them in the next thirty days... not bragging. My point is that I have some time in my schedule to work with new buyers or sellers. So if anyone you know is in the market to buy or sell real estate I sure would appreciate you referring them to me, and you can rest assured that they will receive first class service." Here are the results form this blast: I actually got about twenty requests for the "Market Snapshot" and it motivtated one seller to call and list with me. Real Pro System's General Manager, Caine O'Brien, made a presentation entitled "Sorting Through the Maze of Online Marketing Technology" for Star Power attendees. The response was terrific. We had many requests for the "technology pyramid" so here's a link to download a copy. The full deck of "slides" is available as a PDF by clicking here. You may listen to a recorded version of the presentation by clicking here. "Excellent stuff! Can I get a copy of the presentation for use as an action plan?" "Good session! Caine is a very knowledgeable and easy to listen to presenter. It is a nice little reminder for keeping us on track." "Everyone should have been on online; what a great topic." Please leave any comments, below. Add RSS feeds to any website. 1. Go to the website you want to grab the feed from. 3. Click the green button "click here to get the code"
Here's one that allows for instant messaging, as long as you're logged into the Meebo website. I read about a "Click to Talk" widget on Inman TV, excerpted below. There's a video about it on this page. "Konstantin Guericke was the co-founder of the popular social network LinkedIn and he joins InmanTV to talk about his latest project, Jaxtr.com - a web-based click to call widget you can embed on your web site or blog to connect your visitors directly to your telephone." Decide when to accept calls. Invitation option. Block unwanted callers. Vacation Hold. Never reveals your actual phone number. Provides true click-to-call functionality and privacy for potential real estate buyers visiting online listings, without the need to dial or remember virtual numbers. This widget is free and provides free nationwide and Canadian Instant Calling with no download. These are free and available for only certain metropolitan areas from www.altosresearch.com on this page. I found a great blog post that compares video hosting companies' video quality and ease of use for things like virtual tours or interviews, client testimonials. Click here to view. It's easy to drop video into your Real Pro Systems website. All our text boxes are HTML compatible. You canc reate a custom page about a community and upload a video tour. Ccube Click to call - Click to call Technology Widget - Allow your visitors to call you instantly, Free. Your phone rings, their phone rings. Ccube connects both parties privately on any landline or mobile phone. No dialing ever. No virtual numbers. Keep your real numbers, and enjoy privacy plus more! A widget is anything that can be embedded within a page of HTML, i.e. a web page. A portable chunk of web. A widget adds some content to that page that is not static. Generally widgets are third party originated, though they can be home made. Widgets are also known as modules, snippets, and plug-ins. Why Do I need widgets on my website? Widgets can be fun tools that you can add to your website to educate, entertain, inform and otherwise engage your audience. They are little bits of code that can be customized and simply added to your website to add spice and content and allow your website to appear up and coming and exciting instead of back dated and boring. By simply adding a few widgets to your website you can add a pizazz where before there was little to none. They are embedded right into your website so that when someone uses your widget, they are not leaving your website and instead are interacting with it. If you have 8 seconds to get a website visitors attention, then widgets for your website can help! Widgets are designed for your website to be added in with little or no HTML knowledge and can be simply copied and pasted right into your content easily. Browse the widgets below and when you find one you like, click on the link I have provided to go right to the instruction page. If you happen to find a broken link, please Contact me and let me know. If you need help installing these widgets onto your website, please fill out the form at the bottom of this page and let me know! I will be instantly notified of your request by email and with a text to my cell phone and I will get in touch with you as quickly as possible! Below is a list of Widgets and Widget sites that I have put together for your entertainment and 'engagement'. Trulia Map widget - Trulia offers a free widget mapping tool to help you showcase your listings on an interactive, easy to use map on your website. On your website, customers will see where all of your listings are located on your TruliaMap, with a brief description and pictures when they mouse over the pinpoint. When a user clicks on your listings on TruliaMap, they will link directly to the posting on your site. It is customizable so we can match the colors to your site, size, speed etc. Trulia Market Report widget - Shows a graph of the median or average listing price and listing volume for any location you choose. Trulia Home Roll widget - Trulia's home roll lets you display the newest homes added to Trulia's search results for a particular city directly on your site. This is a really cool tool that offers lots of neat features - but the most beneficial in my opinion is that it will upload your listing to 8 major listings sites and all without you having to do anything but push a button. Free Trial - after that it is $24.95 a month - which is well worth it just for sending all of your listings to all of the above sites without you having to do all the work. Saves you hours of work. A place for you to find free real estate widgets & tools of all shapes and sizes. One of my Favorite FREE Widget Sites - I rate this site WAY COOL DUDE! Features lots of cool widgets including: Gadgets, Counters, Clocks, Weather, Fun, Games, Entertainment, Media and more. The Real Estate Dictionary widget - http://www.widgetbox.com/widget/the-real-estate-dictionary full of real estate specific terms and definitions. Add it to listing pages, buyer pages, reports etc. A handy widget to educate your customers. A daily quote widget full of real estate facts, terms, people, websites, history and events. 1 for each day of the calendar year. Practical, informative and entertaining. Live rates for mortgages, home equities, CDs & autos. Rates are updated on a 20 minutes basis. Easy display through AJAX Tabs. A quick and easy resource tool for real estate agents and bloggers. Designed for real estate agents, the Mortgage Payment Calculator lets visitors determine what their mortgage payments will be based on the loan amount, interest rate and any taxes. Blidget Widgets -Turn your blog into a widget for other peoples websites! Widgipedia Widgets - Need I say More? Just Click It! Widgetmate Widgets - News & Poster widgets - fun! Clear Spring Widgets - http://www.clearspring.com/ A service for Building, Deploying and Tracking your widgets. And here's a fun widget for kids. Use your mouse to paint. Is it the Strong that Survive? Or do the Adaptable? Is it the Strong that Survive? And so it is with marketing real estate services. Not only has the market shifted to almost total internet-centricity, the demands on the skills of a real estate agent today are far more exacting than three years ago. What worked then, may not work now. Those who adapt can not only survive, they can thrive. Periodically I make follow-up calls to some of our new clients in an effort to see what's working and what isn't working for them. The feedback is a valuable report card on how our company is doing and I always learn something valuable from each call. A couple of weeks ago I spoke to two agents who are relatively new to Real Pro Gold agent system and are having terrific success with it. One works the loft market in San Francisco, and the other is using our Short Sale Stealth Site to great effect in the Palm Springs/Palm Desert area. He has six listings that came from his Short Sale Stealth site just since the beginning of the year, and several of these listings have sold or have contracts pending. In addition to the usual flyer and postcard marketing of their stealth sites (which work well for them), both are also running ads on Craigslist. These ads promote a property for sale but also include a link to their email home search stealth sites for more information about this and other properties for sale. Brilliant! A little effort at zero cost and they are generating more leads than ever in this current market. At Real Pro Systems we're continually improving our products and services to keep pace with the changing needs of the market. We recently rolled out major enhancements to our email services in order to improve deliverability, and have achieved safe listing status. We have significant improvements to Real Pro Gold underway now- you'll hear a lot more about that as we move into the summer. The point is there's no moss growing under our feet either. Estimates are that over 5,000,000 homes will sell this year. The agent that acknowledges what is working and what isn't and adapts accordingly will have plenty of business. And we trust that the internet tool provider that adapts will have plenty of business too! This is from Allen Hainge's post at Active Rain. The original post he's referring to is also copied below. No Whining. Comment on a great blog post. Active Rainer Ralph Nudi wrote an excellent post in the Tech Corner group praising "stealth sites." Rather than simply adding a comment to his post, I decided to post here in hopes that it will attract more readers to his post. I recommend that everyone wanting to market is or her services read Ralph's post. For those reading this, please note that I do not sell Web sites, nor do I position Web sites. I do head the Allen F. Hainge CyberStars(r), a group of 200 top agents, not techies, from 4 countries who use today's technology to dominate their markets, and I learn from what they do. I have also reviewed over 300 Web sites as part of my CyberStar(r) Site Evaluation Service. I am also one of only 6 instructors nationwide who teach the CRS 206 technology class. All of which goes to say that I've learned a little something about what works on the Web, and I couldn't agree with you more. Second, RealProSystems stealth sites really work. How do I know? A large number of my CyberStars(r) started using them when they were introduced at our annual CyberStar(r) Summit three years ago. The CyberStars(r) know what works and what doesn't....and they really went for the stealth sites from RealProSystems. They now list it as their fourth or fifth best money-making tech tool. Why does it work? Because it de-emphasizes the agent and thus removes the consumer's bigest fear:getting involved with an agent. Think like a consumer: the last thing you want to do is to get involved with an agent. A stealth site makes this possible. You fill out a form, you get automatic information (good information!) on a regular basis...and you contact the agent if and when you are ready to. Third, I agree with your comment about those who are quick to criticize anything out of their comfort zone. You wrote: "These people are generally resentful of innovators, producers, and of others that have ideas and attempt to put them to use." Amen, Brother! Back in my drinkin' days, I was one of the unsuccessful agents who resented the heck out of those who were successful. I was a whiner filled with resentments, one of the "failure people." I surrounded myself with other failures, and I was darn good at telling you why something wouldn't work....rather than just doing what the successful people did. Why? I guess it was the old, "Misery loves company" syndrome. I remember bad-mouthing the top agent in our office. Boy was he pushy! I'd never treat people like he did, etc. I had trouble paying the phone bill. He owned a wonderful home here in Reston and took his family on exotic vacations several times a year. Who was right? I now realize that he was a businessman and that I was a whiner. Whining was my way of telling myself that I was right and that I had some value! I finally learned, as you have, Ralph, that if it's more fun to be a winner, not a whiner. If you want to be a winner, just do what the winners do! They use VisualTour.com, you use it, too.They spend time and money making their Web site a powerful consumer information tool, you should, too. They use a moving truck: you should get one as soon as you can afford one.. They have great stealth sites; you get 'em, too! I wrote another AR blog on the attitudes of those who, like I used to be, are less successful than their peers. It dealt with those who didn't think they could take time off, and in it I wrote: "They are stuck in old ways of thinking, passed on to them by brokers and managers." You can read the whole post here. So, my friend Ralph, hang in there. Continue to innovate. Continue to experiment. Continue to closely observe what market leaders to and follow their lead. Continue to go to conventions to see what's new and what works. That goes for the rest of you winners out there on AR, too! It's a beautiful evening here on the lake in Reston...hope it's a beautiful day/evening wherever you are, too! STEALTH SITES - ETHICS VIOLATION? OR PROFIT CENTER? Over the past several weeks I have had several posts and comments on posts referring to my STEALTH SITE. I can't say I am not surprised at the number of negative comments I have received from people saying that I can't or shouldn't do that. That it is unethical, or forbidden, or whatever other excuse they have. Jim and GARY were both quick to say I was doing something wrong, and quote the bylaws. First of all, let me say I do appreciate their feedback, I think it's good that we have healthy discussion, that being said, if you have your broker name and state of licensure on the web page, you are good to go. There are also those who say stealth sites and drip campaigns don't work any more. This simply isn't true. You have to be EXTREMELY POLITE with your follow up, and ask for permission for continued follow up, but if you do, you will create good prospects. This is nothing new to me, anytime I do anything that gets results, I noticed there is a certain "doughnut eating" element of the real estate industry that likes to put down anybody else's ideas for fear they will have to get up off their chair and actually do something to earn their living. These people are generally resentful of innovators, producers, and of others that have idea's and attempt to put them to use. I will be the first to admit, that most of my idea's fail. But than again the same can be said about most of EDISON's Ideas. Edison once said (I am paraphrasing and not quoting) "I didn't see the 9999 times that my lightbulb didn't work as failures, but as successes in learning yet another way that would not work"
When I first started working as a loan officer, I was criticized by real estate agents for helping FSBO's. I was told I was making it harder for them to get business by competing with them. The truth was... I was doing the opposite. I was generating and incubating leads for the few agents who were actually loyal to me. I had dozens of ideas and programs that I implemented, many of which I still use today. I was often surprised at how reluctant agents were to learn new ideas, or think outside the box. I became so frustrated that I got my real estate license to implement my ideas, originally thinking I would still generate business and give it to agents, who would in turn give me loans. I now sell more real estate than most of the agents I started out trying to get business from, and still in the real estate community both locally and here on ACTIVE RAIN, the masses look for reasons why idea's won't work. I have learned that there are NO MAGIC SECRETS in real estate. I can share my idea's with everybody and it won't hurt my business or production at all for two reasons. REASON #1 - People are LAZY. - You can tell them step by step how to create a million dollar business, and even if it's a proven successful business plan, they will not put forth the effort to implement it. REASON #2 - There IS enough business to go around! - Because of reason #1, there are only a few agents that will do what it takes to make it. They will do the same things you are doing whether you share information with them or not, and there is enough business for the good agents to all make a good living. Sharing will only speed up the process for them, and for you, as they also share their ideas. My stealth sites are ethical, comply with rules and laws AND are effective. You will notice the disclaimer at the top of the page, giving brokers name and state of licensure. Never take advice from someone who's rear end is the same shape as their chair. It' didn't get that way overnight. Ingore the NAY SAYERS and the NERVOUS NELLIES and the DONUT EATERS in our business, and go out and make some money! This article was contributed by Dan Hatfield - Real Pro Systems' ProLeads Manager. Thanks Dan. 1) Add additional content to your website - start with your main page, list the towns & areas you work in, the services you provide, give a little background about you and your team. Mention some current things that you are involved in in your area if you are active in your community. Create additional Resource Pages that give helpful and relevant information for your area. It can range from a collection of schools and places to dine in your area (or categorized by each city) or could be information to help people get the most value for their home (ex: 10 Things to Do to Make Your Home More Appealing). The more pages you have of useful information, the more people in your area will use you as a resource. If people start using you as a resource the search engines will definitely take notice. Be sure to make some links on the main page of your main site to articles you've written (or had someone else write for you) that you think people might be interested in. Change these links from time to time with new content." Here's an example of a created page with content geared towards real estate agents called "21 Spectacular Marketing Tips." Find reputable companies and websites that will link to your main site such as home inspection, mortgage companies, appraisers, escrow agents, etc. Many sites will do it if you ask them nicely in a personalized email (no canned letters, website admins hate those). I read some surprising new statistics about blogging, that 8 out of 10 Americans know what a blog is. For a new form of journalism, albeit a bit questionable in some cases, it has taken the Internet space by storm. I see this is a way of giving a personal voice to those of us who feel so lost in this age of information, not unlike graffiti. I sometimes feel like a page on a website buried in sub menus that never gets found by the search engines. I'm a kilobyte of information jostled around and shoved aside in the expressway of gigabytes running on T1 lines. So how does one project a sense of self? It used to be that kids and teens made their mark with graffiti, advertising their "brand" with stylized, often illegible (to me) type and characters. In New York City graffiti was everywhere there was a surface. Even the subway windows were scratched with names. Someone pointed out to me that on every single subway steel post in every station throughout the five boroughs of NYC was scratched an X. This person was literally making their mark. Blogs are the new way for people to feel real, to communicate in this age of non-communication. It's the natural progression for kids who grew up communicating in chat rooms and playing massively multiplayer online games with a carefully crafted persona and fantasy lifestyles, never meeting in person their playing counterparts yet knowing their online persona intimately. For real estate professionals, blogging is a personal voice as well as a tool for SEO. There would be an inclination for old-school agents to want to promote their own brand, in a self-aggrandizing way. But a blog is an opportunity to open a dialog with prospects, clients and friends. Instead of the mundane diary-like writing, why not encourage people to get involved, bring community back into their lives? Offer to write a letter to your congressman on their behalf for some issue in your community. Use it as a tool, as technology should be seen as, to facilitate or encourage action, whether it's a charity function, volunteer effort or gathering. And don't forget to use your search terms! IT'S GETTING TO THE POINT where everybody knows what a blog is. According to an exclusive Marketing Daily study, eight out of 10 Americans know what "blog" means, and almost half have visited the blogosphere--some as often as daily. "The high awareness is surprising given that blogging is an emerging media outlet," says Tom Mularz, senior vice president at Synovate eNation, which conducted the online survey of 1,000 U.S. adults. "The segmentation on awareness and usage, and on people having their own blogs, is driven by age, with obviously younger people more active in blogging." Nearly 90% of 25- to-34-year-olds know what a blog is, compared to 64.5% of those age 65-plus. Similarly, 78.4% of 18- to-24-year-olds report they have visited a blog, compared to just 44.7% of older Americans. Technorati reports there are 99.9 million blogs out there. With so many to choose from, it's no wonder that 54.4% of blog-readers surf a variety of blogs rather than remain loyal to the same sites, according to the eNation study. And an indication that the blogosphere is not too different from the real atmosphere: Men are more commitment-phobic than women. Nearly 60% of guys surf a variety of blogs, compared to 50% of women." "...Some advertisers are trying to slip brand names in through the blogosphere's back door by recruiting bloggers to write favorably about their brands. Recently, a rep for Marvin Windows and Doors sent a flattering (exact replica) e-mail to several house-bloggers (including this reporter at www.fixerupper.typepad.com) to "better understand how Marvin can better interact and inform you as a home remodeler and blogger." She offered to provide "how to" tips and recommendations along with updates on company innovations and products. The company's "end, end goal," the rep said in a follow-up note, is to expand "Marvin's footprint as an expert in windows and doors." She teased at the potential for future promotions and advertising, but added, "That's really several months away." "This does happen on a somewhat frequent basis," says Aaron Olson, who runs houseblogs.net, a network of house-bloggers. "Some are more 'above the board' than others and it really varies." So who's blogging? Eight percent of Americans have their own blog. "That's high, given that blogging was unheard of a few years ago," says eNation's Mularz. It's also surprising that more women than men are bloggers (given that men tend to dominate the computer/tech fields). Nearly 14% of men versus 20% of women have blogs, eNation reports.